The ministers involved in the Nkandla saga have been sent letters of reprimand, the Presidency confirmed on Friday. The letters were sent as directed by the Constitution Court, when it said that the public protector’s recommendations were binding. 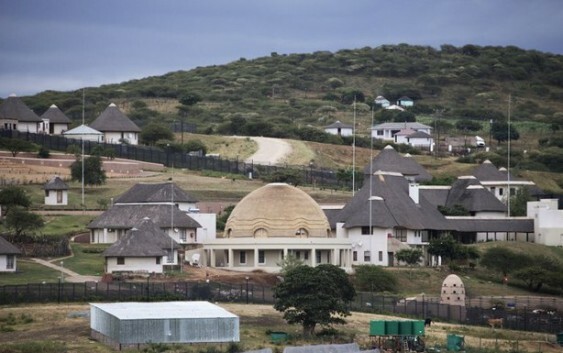 Public Protector Thuli Madonsela recommended that President Jacob Zuma pay back a portion of the state money that was spent on the non-security upgrades to his Nkandla home and that the ministers involved be reprimanded. The letters were sent to Minister of Public Works, Thulas Nxesi, former Minister of Police, Nathi Mthethwa and former Minister of Public Works and High Commissioner of the Republic of South Africa to Sri Lanka, Geof Doidge. The Presidency added that work was continuing on implementing the remedial action recommended by the public protector. “The payment of a reasonable percentage of the cost of the measures will be done after the National Treasury has made a determination. The National Treasury is currently seized with the matter,” the Presidency said in a statement. It added that an inter-departmental committee had been established to update the Cabinet policy in order to draft clear standards on security measures, costs and conditions under which current and former presidents and deputy presidents qualify for such measures. “An Inter-Departmental Committee has been established by the Presidency to update the 2003 Cabinet Policy and to draft clear standards on the security measures that can be taken, the reasonable cost that can be incurred by the state and the conditions subject to which current and former Presidents and Deputy Presidents would qualify for such measures. “The Department of Defence is drafting the Standard Operating Procedures regulating the implementation of the benefits extended to Presidents, Deputy Presidents, the Minister and Deputy Minister of Defence and foreign dignitaries (at the request of the Minister of International Relations), which is aligned with the principles of equality, proportionality, reasonableness and justifiability,” the Presidency said.